If you are a lover of horror stories and movies, you must have noticed that there are more books on zombies today than what you would get in the last decade. In fact, there wasn’t any genre for “zombies” and it was rather all about vampires. However, a lot has been changed since the last decade so much so that it would not be wrong to say that the last decade can be considered a “Golden Age” when it comes to zombie fiction. 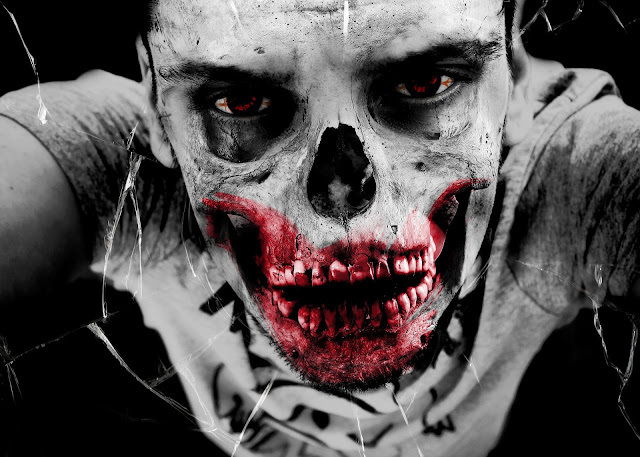 Today, we can see that zombies rule the world of the genre of supernatural fiction. They have already taken over our movies, shows and even television series. Being an avid reader of supernatural fiction and zombie stories, I have already explored some of the best zombie fiction series of all-time for you guys. Here are 8 of the best and not-to-be-missed zombie books you ought to give a read once in your lifetime. So, come on and let’s give some love to some of the very best zombie stories of the last decade! World War Z is an all-time classic, a horrifying zombie story that feels very close to reality. Author Max Brooks has portrayed very devastatingly what actually could happen and how things would go if zombies were real. The story has been adapted into a movie as well but honestly, I’d say that the movie is nothing as compared to the original book. The story revolves around the dangerous zombie outbreak and the survivors of the Zombie War – a war that came hazardously close to the doom of all humanity on earth. Written by Isaac Marion, the novel Warm Bodies can be described as a “zombie romance” and makes reference to William Shakespeare’s “Romeo and Juliet.” The storyline revolves around an unusual zombie named ‘R’ who is unable to remember his name. Because of a dreadful outbreak, the entire population has been divided between humans and zombies. When ‘R’ sees other zombies attacking a human girl named “Julie,” he rescues her. Julie notices that ‘R’ is different from other zombies and she isn’t scared of him. Hence, they both get on into an unusual relationship and their bond grows stronger with time. As ‘R’ becomes more and more human, a series of events unfold that could change the whole dead world. Patient Zero deserves a number on this list because it’s a complete zombie novel for those who don’t like to read zombie stories. Joe Ledger is a detective who lives in Baltimore. Ledger is a tough guy and has killed the same terrorist twice in a week.He is aware that things are not right around. The government task force has a mission up their sleeve to keep terrorists away from using a deadly biochemical weapon that will turn all humans into zombies. So, Ledger has been appointed to stop the deadly zombie disease from spreading and it seems as if he will decide the fate of the entire world. If you prefer fast-paced, full of action zombie stories, then this one surely gets your number! Penned down by author S.G. Browne, “Breathers: A zombie lament” is perhaps one of the most absurd (in a good sense) books on our list of 8 best zombie books of all-time.The book is an entertaining debut that entails the modern life of a zombie. Andy Warner has recently died as a human and turned into a zombie. Now he has trouble adjusting to his new life as a zombie. His parents and friends don’t really understand his new existence and his life as an undead. After he attends his first undead anonymous meeting, things start to change for him and he learns the delights of human flesh and the rights of zombies. Read the book to unravel more mysteries. This zombie thriller was nominated for Hugo-Award andis definitely a fun and interesting read. Feed, written by Mira Grant, is a modern version of the typical zombie apocalypse story. According to the book, humanity has managed to cure cancer along with the common cold. However, the cure has caused the humanity to face something new and really deadly; something which cannot be stopped – the zombie virus. As the virus gets out of control, two bloggers, Georgia and Shaun go on the hunt to explore the root cause of the disease and how it could be stopped. If you are seriously looking for a zombie novel you can let your teeth sink into, then this one is just the right one for you. Written by author Jessica Meigs, The Becoming is a zombie apocalypse story of “Michalk virus” that occurs in Atlanta. The virus causes human to become cannibals. More than just a zombie survival story, The Becoming allows you to see what happens in the lives of the characters before, during and after the virus infects them. The book involves the story of a 15-year-old girl named Temple who doesn’t know of a world prior to zombies. Encounters with zombies (mentioned as “slugs” in the book) to her is just the same as how one encounters a spider. Apart from having warrior capabilities and survival instincts, Temple has a guilt-ridden soul from inside because of all the bad things she has done in the past. It would not be wrong to say that this is not any ordinary zombie book – it’s rather a “beautiful” zombie story that will hit you with unexpected moments of delightedness surrounded by horror, and also written in a Southern Gothic style that makes it a legendary novel to read. If you want to read something similar to Warm Bodies then you better pick up Chelsea Luna’s zombie adventure and love story “Love & the Zombie Apocalypse. ”The story is about a 17-year-old girl Rachel who will do absolutely anything to save her little sister Morgan after the outbreak of the zombie war. But the trouble is her sister is away from her at a summer camp and so Rachel has to go through zombie-infected streets to reach her. On her way venturing out into the streets, she meets Cage and starts falling for him at the worst time. Catherine Daisy is himself an author and has written numerous books and novels on fiction, biographies and auto-biographies. In her free time, she loves to blog and provides excellent assignment writing service to troubled students.